Part of my moving adventure has been figuring out how to get my Baby Grand from Southern California to our new home in Kansas. So just in case anyone will need this in the future, here are the few piano movers I was referred to by the local piano technician in our new town who are in fact able to move instruments across state lines. 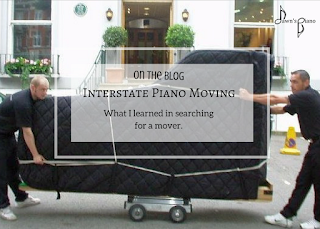 One thing to keep in mind is that because they are interstate piano movers, you have to be flexible with your schedule to accommodate pick-up & delivery when they are in your area. Note that Keyboard Carriage will only ship between commercial locations. After getting some qutoes & looking at reviews, I decided to go with Modern Piano Movers. I wanted someone who would be able to pick up & deliver to a residential. And while their quote was a little higher than Walters, the reviews were glowing! We had our final recital as Dawn's Piano in Pasadena yesterday. It was an absolutely moving & terrific show. Thank you to all the performers who participated in our grand finale, and gave us all a good send-off to wherever our next stop may be. Be fore-warned, this post is going to be a little nostalgic. 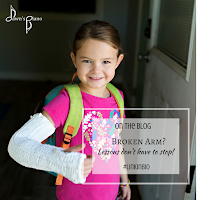 Online lessons will be provided for long distance students, when there is Inclement Weather, or when a student is contagious but feeling well enough to take a lesson. If you are unable to make your normal lesson time, I will use your slot to record a video lesson for you with some new assignments, or you are invited to attend the monthly Group Class. 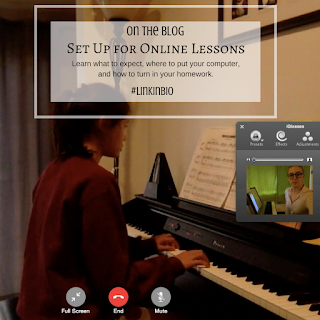 So for online lessons, here's what you need to know for your set up so lessons will run smoothly. Choose your Preferred Video Service: Skype: Make sure Skype is installed on your preferred device. Text me your username, and log in a few minutes before your lesson time. Zoom: Make sure Zoom is installed and has access to your device’s camera & microphone. I will send you a link, all you have to do is click the link at your lesson time to join the video call. 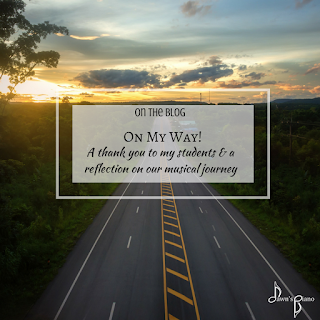 Thank you for considering piano lessons with Dawn's Piano! There are so many cognitive & emotional benefits of music study, I am sure that it will be an enriching experience for your student. 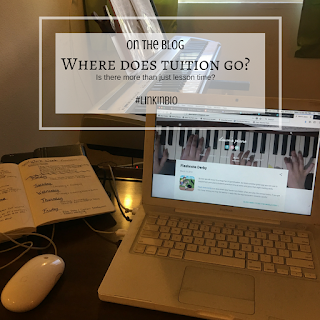 This article is here to help you know what you can expect from me in your piano study, and all the things that your tuition covers. I adapted much of this list from Wendy Stevens' brochure on the ComposeCreate website, please feel free to check that out if you want to hear about piano tuition from someone other than me.